Outside of South India it’s always a nice surprise to find a dosa. 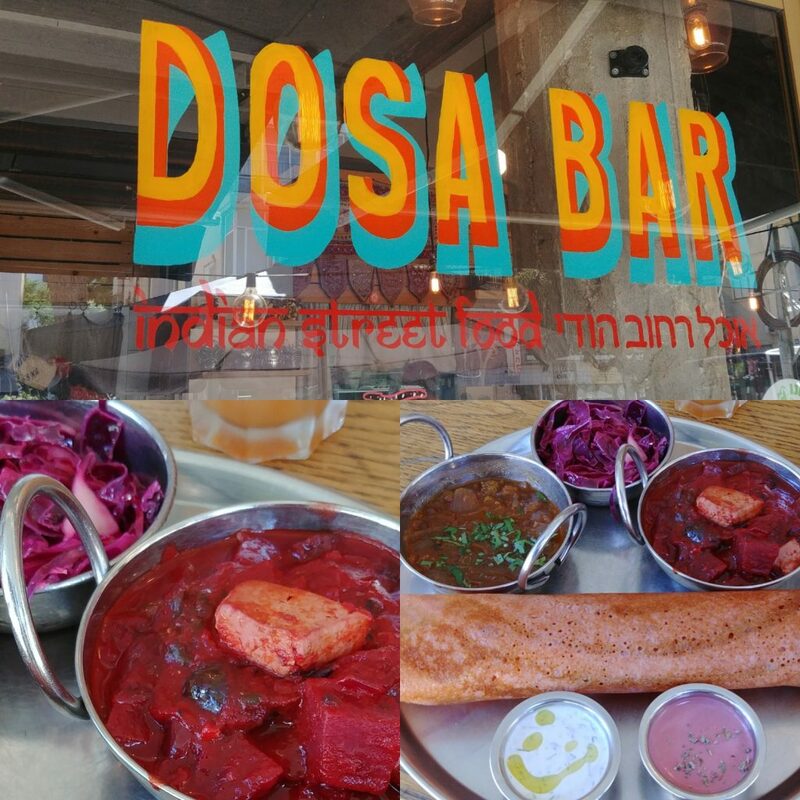 Here in Tel Aviv they’re kosher, wholefood and vegan. The Israeli guys running the place offer red, orange and green dosas. We had the red (beetroot and red cabbage) and green (spinach and green lentils). The orange is sweet potato and carrot. Lovely stuff. Tel Aviv is a vegan paradise: there are veganized dishes with inspiration from across the diaspora as well as Middle Eastern staples.